가디언, 한국 국가인권위 ‘탈북 여종업원’ 조사 방침 보도 - Newspro Inc.
7월 31일자 가디언에 “South Korea to investigate North Korean women’s ‘defection’-한국 정부, 북한 여종업원 ‘탈북’에 대한 조사 예정”이라는 제목의 기사가 실렸다. 기사는 한국의 국가인권위원회가 집단 탈출한 12명의 북한 국영식당 여종업원들이 자신들의 의지에 반해 한국으로 입국했는지에 대해 조사할 방침이라고 전했다. 최근 들어 북한 여종업원 탈출은 남북한 관계에서 주요 의제로 등장하고 있다. 이 사건은 남북한 간의 화해 분위기에 장애물이 되고 있으며 이 여성들이 북한으로 송환되지 않는다면 다음 달 진행될 남북한 이산가족상봉이 무산될 수 있다는 북한 국영신문인 노동신문의 발표가 있었음을 기사는 언급했다. 가디언은 이어서 한국 국가인권위원회의 이러한 움직임은 유엔 관계자가 일부 여성들이 속아서 한국으로 이동하게 되었다고 말하며 조사를 요구한 지 한 달도 채 되지 않아 나온 것이라고 지적했다. 한국 정부에서 유엔의 권고안을 받아들인 것이다. 기사는 12명의 여성들은 2016년 4월 중국 동부에 위치한 닝보에서 그들의 지배인인 허강일과 함께 한국에 도착했으며 이 사건은 지난 수년 간 있었던 북한 주민의 탈북 중 가장 충격적인 사건 중 하나라고 말하며 이 사건에 대해 북한 당국자들이 이 여성들은 납치되었다고 비난하며 이들을 돌려보낼 것을 요구했다고 전했다. 지난 5월 허 씨가 한국 JTBC방송과의 인터뷰에서 자신이 한국의 정보 기관과 공조해 그 여성들을 “유인하고 납치했다” 말하며 북한의 이 주장에 더 많은 힘이 실렸다고 기사는 정리하고 있다. 기사는 일부 여종업원은 자신들은 남한으로 도망칠 의사가 없었다며 집으로 돌아가고 싶다고 말한 것으로 전해졌다고 밝혔다. 또한 기사는 아직까지 12명 모두를 인터뷰한 사람은 없으며 여종업원 대부분은 한국에서 일반인의 눈에 띈 적이 없다고 전했다. 이 사건은 대북 적대적 입장을 줄곧 취해 온 박근혜 정권하에 일어난 일이며 아직까지 한국의 통일부는 이 여성들이 자발적으로 한국으로 왔다는 입장을 되풀이 하고 있다고 기사는 언급하며 강제와 강요는 없었다는 입장을 밝혔다고 전했다. 서울역의 한 TV화면이 뉴스 방송 중 중국 북한 식당 종업원들의 흐릿한 사진을 보여주고 있다. South Korea’s human rights watchdog is to investigate whether 12 North Korean restaurant workers were brought to the country against their will by their manager, the latest twist in a mass defection dogged by controversy. 한국의 인권감시단은 12명의 북한 식당 종업원들이 자신들의 의사와는 달리 식당 지배인에 의해 한국으로 오게 되었는지 조사할 예정이며 이는 논란이 되어온 집단 탈출 사건의 가장 최근에 일어난 상황 전개이다. The move by Seoul’s National Human Rights Commission comes less than a month after a United Nations official called for an investigation, saying some of the women were deceived into travelling to the South. 한국 국가인권위원회의 이 움직임은 유엔 관계자가 일부 여성들이 속아서 한국으로 이동하게 되었다고 말하며 조사를 요구한 지 한 달도 채 되지 않아 나온 것이다. The 12 women arrived in South Korea with their manager, Heo Kang-il, in April 2016 from Ningbo in eastern China in what was one of the most sensational defections by North Koreans in years. 12명의 여성들은 2016년 4월 중국 동부에 위치한 닝보에서 그들의 지배인인 허강일과 함께 한국에 도착했다. 이 사건은 지난 수년 간 있었던 북한 주민의 탈북 중 가장 충격적인 사건 중 하나였다. 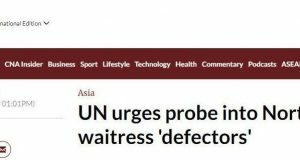 But officials in Pyongyang cried foul, saying the women, who worked in a North Korean state-run restaurant, one of dozens in China, were kidnapped and demanded they be returned. 그러나 북한 당국자들은 중국에 있는 수십 개의 식당 중 하나인 북한 국영 식당에서 일하고 있던 이 여성들이 납치되었다고 비난하며 이들이 돌려보내져야 한다고 요구했다. North Korea’s claims were given more weight in May when Heo said in an interview with local television station JTBC he had worked with South Korea’s intelligence service to “lure and kidnap” the women. 지난 5월 허 씨가 한국 JTBC방송과의 인터뷰에서 자신이 한국의 정보 기관과 공조해 그 여성들을 “유인하고 납치했다” 말하며 북한의 이 주장에 더 많은 힘이 실렸다. Three of the women were also quoted as saying they had not wanted to seek refuge in South Korea and wanted to return home. 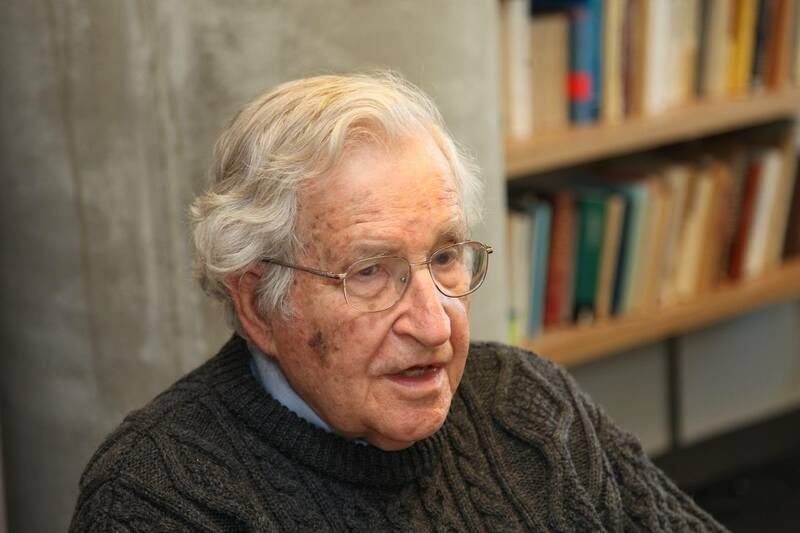 No one has managed to interview all 12, and they have been largely kept out of the public eye. 또한 그 여성들 중 3명은 남한으로 도망칠 의사가 없었다며 집으로 돌아가고 싶다고 말한 것으로 전해졌다. 아직까지 12명 모두를 인터뷰한 사람은 없으며 이들은 대부분 일반인의 눈에 띈 적이 없다. The controversy over their arrival has become an obstacle to warming ties between the two Koreas. Family reunions planned for next month between relatives divided since the 1950-53 Korean war could be scrapped if the women are not allowed to return to the North, Pyongyang’s state newspaper, Rodong Sinmun, has said. 이들의 탈북 논란은 남북한 간의 화해 관계에 장애물이 되어왔다. 이 여성들이 북한으로 송환되지 않는다면 다음 달 계획된 1950-53년 한국전쟁 이후 이산된 가족의 상봉이 무산될 수 있다고 북한 국영신문인 노동신문이 밝혔다. 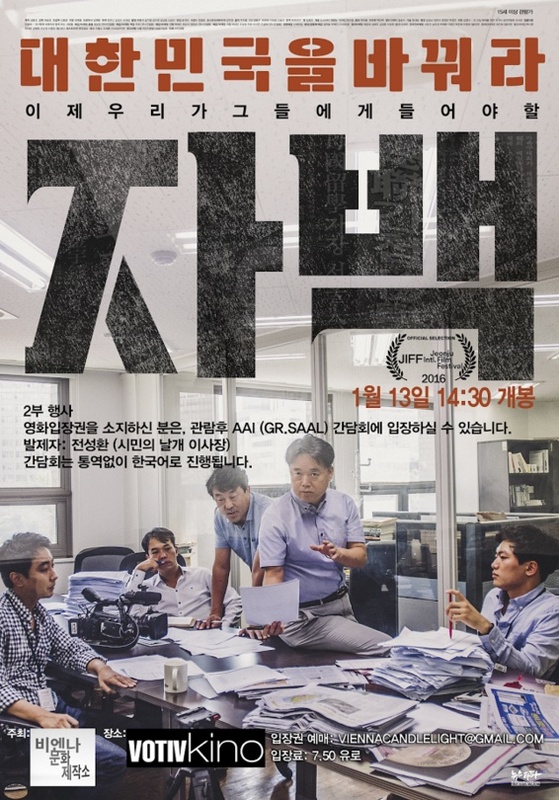 Heo said he had decided to spy for the South after former classmates were executed in a political purge, and when he asked to defect, his handlers ordered him to bring the women with him. 허 씨는 전 학교 친구들이 정치적 숙청으로 처형된 후 남측의 첩자가 되기로 결심했으며, 그가 탈북을 요구했을 때 그의 담당자들이 그 여성들을 데려오라고 명령했다고 말했다. The allegations further blackened the reputation of Seoul’s spy agency, which has interfered in politics, aided corruption and falsified espionage investigations. 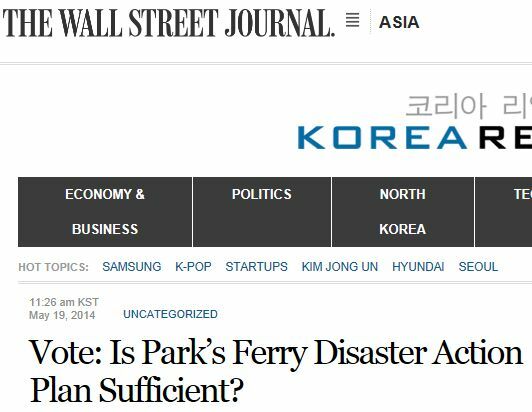 The defection occurred during the presidency of Park Geun-hye, who was ousted and jailed for graft, and took a hostile stance toward the North amid heightened tensions. 그러한 의혹들은 정치에 개입하고 부패에 협조하며 간첩 수사를 조작해 온 국정원의 평판을 더욱 더럽혔다. 그 탈북 사건은, 긴장이 심화되었던 대북 관계에 있어 북한에 대해 적대적 입장을 취했던, 지금은 파면되어 뇌물죄로 수감 중인 박근혜 재임기간 발생했다. 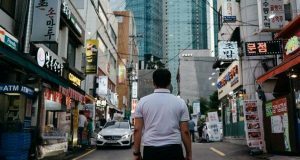 While there are about 30,000 North Korean refugees living in the South, it is rare for large groups to defect together, especially staff working in state-run restaurants abroad, who are considered elites by North Korean standards and chosen partly because of their perceived loyalty. 한국에 약 3만 명의 탈북자가 살고 있지만 큰 그룹이, 특히 북한 기준에 따라 엘리트로 간주되고 그들의 인정된 충성도 때문에도 선택되었을 해외 국영 식당의 직원들이 함께 탈출하는 것은 아주 드문 일이다. The 12 women and one man were part of what the US government estimates to be 93,000 people dispatched by North Korea to work abroad and earn much-need hard currency for the regime. 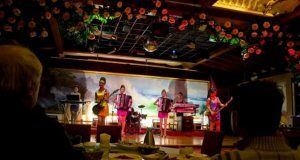 Dozens of North Korean restaurants dot China’s east coast and often include singing and dancing performances, particularly popular among South Korean tourists. 이들 12명의 여성과 1명의 남성은 북한 정권을 위해 긴히 필요한 경화를 벌기 위해 해외에서 일하도록 북한 정부가 파견한, 미국 정부 추산 93,000명의 사람들 중 일부였다. 수십 개의 북한 식당이 중국의 동부 해안에 위치하고 있으며 특히 한국 관광객들에게 인기가 있는 노래와 춤 공연을 하고 있다. North Koreans also work in the Russian logging industry and Qatari building projects. 북한인들은 또한 러시아 벌목 사업과 카타르 건설 프로젝트에 참여하고 있다. South Korea’s unification ministry has consistently said intelligence officers said the women came voluntarily, but has admitted it has been unable to speak with them directly. After the announcement of the investigation by the human rights commission, the ministry reiterated its stance that the women were not forced or coerced into defecting, according to South Korea’s Yonhap news. 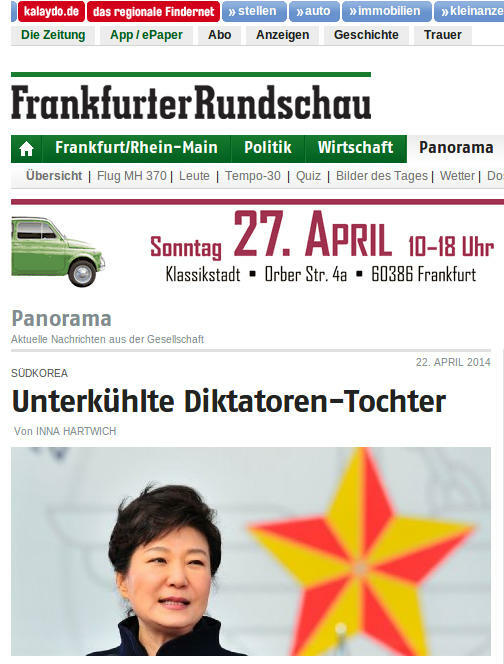 한국 통일부는 그 여성들이 자발적으로 왔다고 국정원 관계자들이 말했다고 계속해서 언급해 왔지만, 그들과 직접 대화할 수 없었음을 인정했다. 인권위원회에 의한 조사가 발표된 후 통일부는 그 여성들이 탈북하는 데 강제와 강요는 없었다는 입장을 되풀이했다고 한국 연합뉴스는 밝혔다.